One of the things that most appealed to me about Boston is the amount of waterfront throughout the city. The coastline is full of gentle bobbles in and out, then there’s the rivers running through the city – the Charles, the Mystic and the smaller Chelsea River, the Emerald Necklace/Muddy River / Fens and the large expanse of the marshlands in the Rumney Marsh and the Belle Isle Marsh. I love a city with surface water. It’s exciting! When in doubt, photosynthesize! 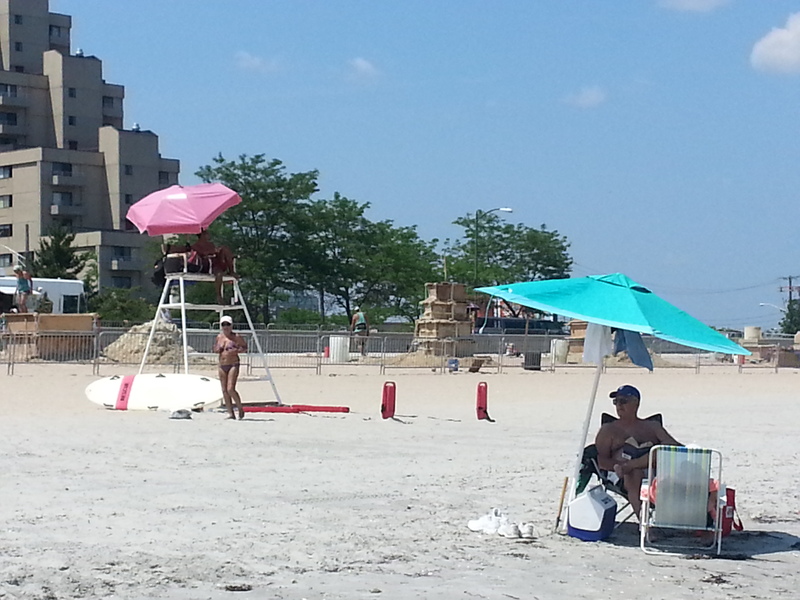 At the southern end of Revere Beach (may be called something else by this point). 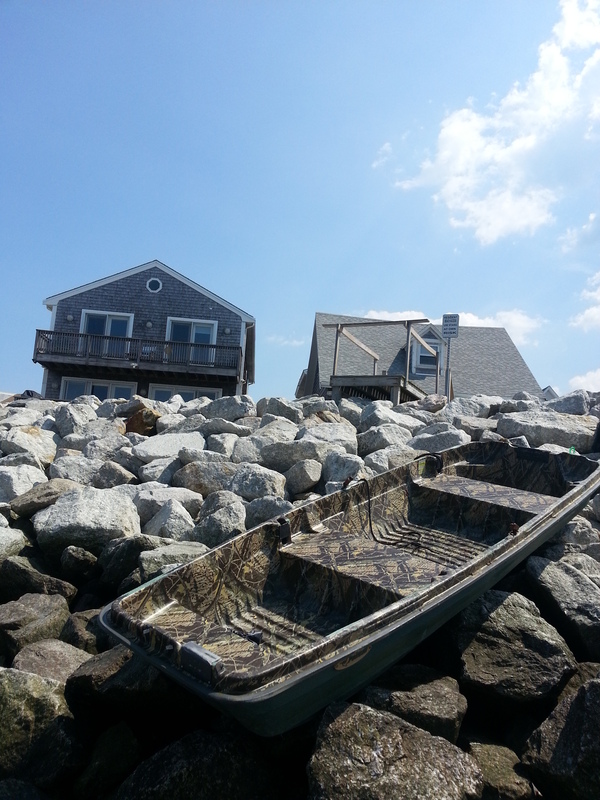 I’ve poked around the beaches of Revere, Winthrop, South Boston, Dorchester and Quincy. I’ve spent a lot of time riding alongside the Charles, far less time with the Mystic and no time at all with the Chelsea River. Something stung me in the Belle Isle Marsh and I’ve flown into Boston over the Rumney Marsh twice. But I’m pretty sure that doesn’t count. The shape of Boston has changed substantially over time, so a lot of the beaches and waterfront area that I’ve been through is highly modified. There’s clues all over the city about where things used to be – for example, Charles Street runs along the original southern bank of the Charles River, but mostly you can’t even see the river from it. Walk Boston also provides quite a lot of delicious description of ‘how things used to be’, particularly for the Washington Street walk. 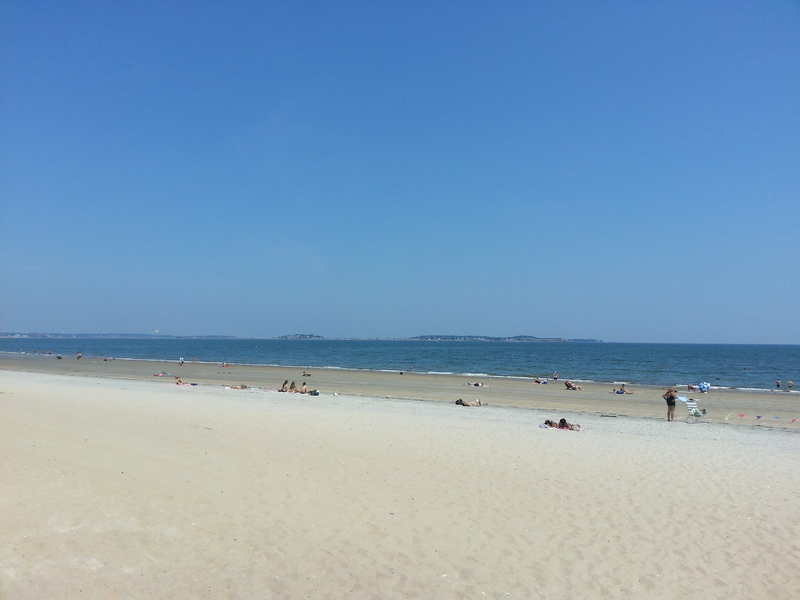 Revere Beach is one of the main ‘town’ beaches just to the north of the city. It’s easily accessible on the blue train and that is how I got there. I went all the way to the final stop (Wonderland) and then walked along the beach all the way back to Orient Heights train station. 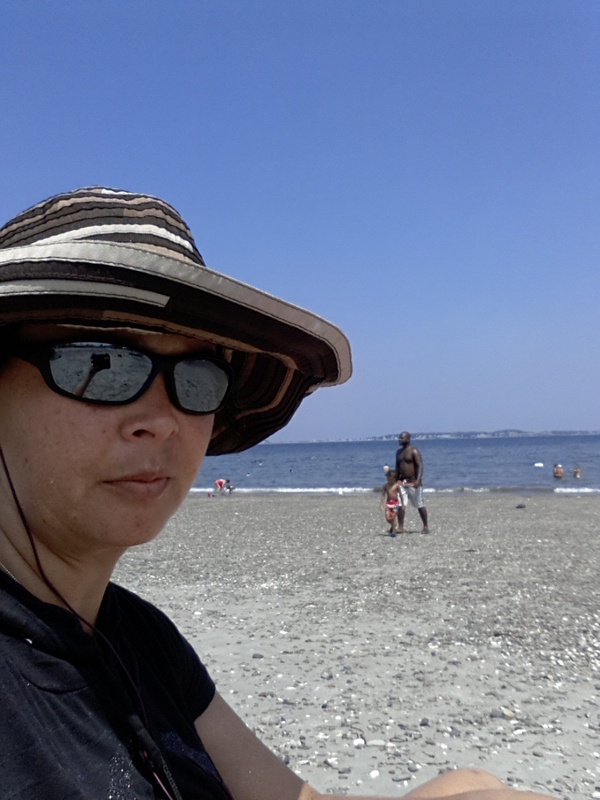 The beach is very wide and the slope into the water is very gentle. There was a reasonable amount of seaweed, pretty much no waves, lifeguards at regular intervals and quite a few people out. The water was astonishingly warm – easily as warm as the water in mid-summer in Perth. Revere Beach. Bet you weren’t expecting this, were you Aussies? Sandcastle display getting ready. 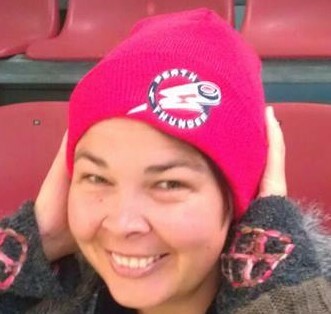 Apologies to this poor woman, whoever she may have been. Winthrop is a little peninsula that isn’t served by the MBTA – the private bus company Paul Revere transport runs two loops through the town/suburb and they are both stunning. Probably miserable as heck during the winter, but in summer it felt like a million miles away from the city. I was delighted with how much of Boston-near-the-beach felt like that. Quiet tucked away little communities snoozing in the sunshine. At the southern end of Revere Beach. Wasn’t really clear from the signage whether the seawall was private property or not. For the sake of not having to walk on the road or on the ridiculous rocky jumble, I chose “public property” and didn’t look into peoples’ backyards too much. 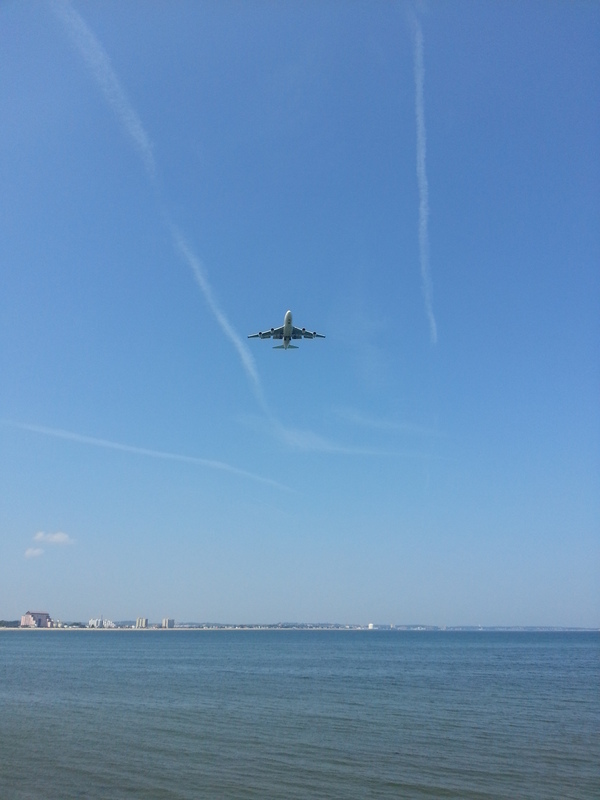 Planes go directly overhead to land at Boston Logan International airport. 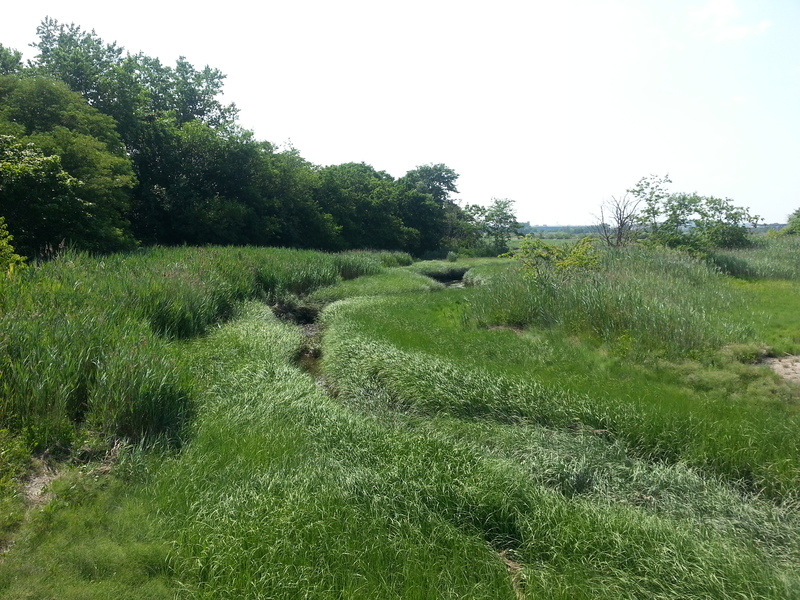 After consulting Google Maps, I also took the opportunity to walk through the Belle Isle Marsh, as a few tracks were visible and I remember reading that Belle Isle Marsh is one of the last remaining intact wetlands in the metropolitan area. I’m not sure if that’s actually true, or if that’s a reflection of the wobbly definitions of metropolitan area. It was a very different wetland experience to home. Primarily due to the presence of lots of water in the wetlands. What a strange thing for wetlands to contain. Not so much water that any of the perfectly groomed paths were at any risk of getting muddy or damp. The non-perfectly-groomed paths were unattractive to me due to my extreme lack of forethought, that meant that I was rapidly running out of water and had no food with me. Oops. Looking into the Belle Isle Marsh from a small footbridge. 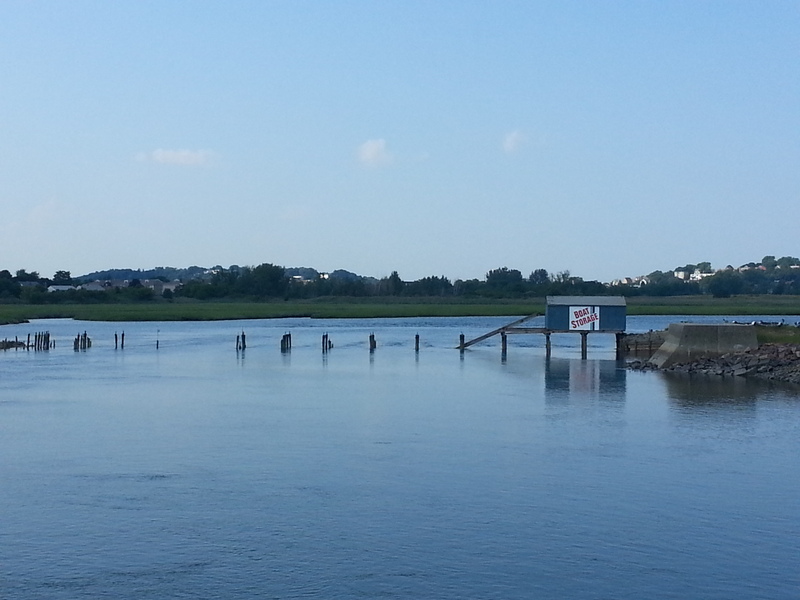 Boat storage – main bridge into Winthrop looking into the Belle Isle Marsh. It was a crazy hot day and I was exhausted when I made it to the train station and pretty damn devastated when I found that Orient Heights was closed for maintenance and that therefore there was no air conditioning in my immediate future. And also my brain wasn’t functioning too well anymore, so things like figuring out where the replacement bus shuttle was collecting people was all a bit difficult. It was a gorgeous walk and something that I would highly recommend in milder weather. 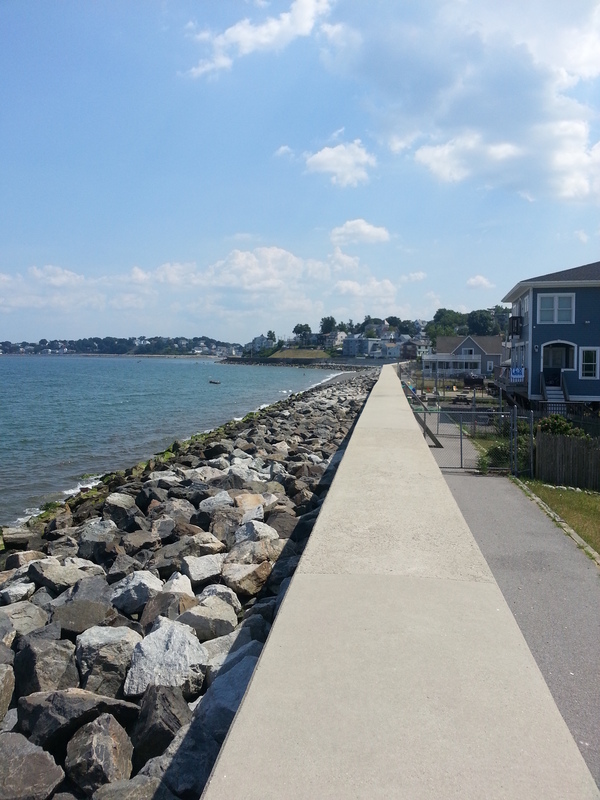 Beach, seawall, gorgeous houses round the bluff in Winthrop, the stillness of the marshland and then back up through Winthrop to the train line. So. Damn. Hot. And also covered in glitter, as my fave Bruins t-shirt was shedding sparkles and they were sticking to my sweaty sunscreen.